Named for a pair of infamous off-road trails in California s Mojave Desert, the Twin Hammers rock racer epitomizes the spirit of 4WD adventure. 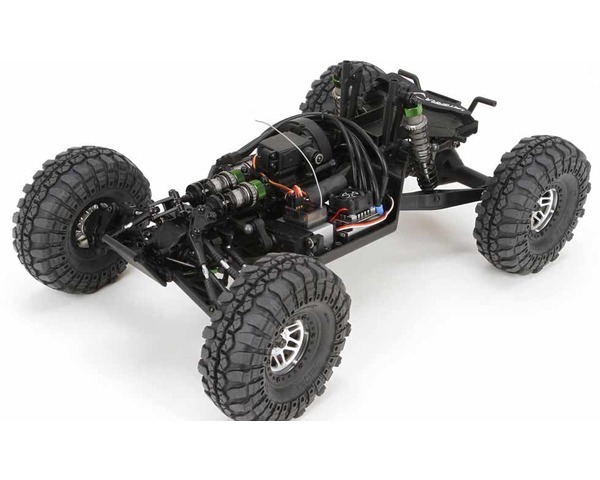 This kit version lets experienced RC drivers build the vehicle to their specifications, using the electronics and power system of their choice. It also takes the performance of this proven platform to the next level by including the option parts that have been most popular with the RTR version. These would include options like licensed Interco Super Swamper Tires, a front locker, heavy duty front axle outdrives and more. You will need. . .